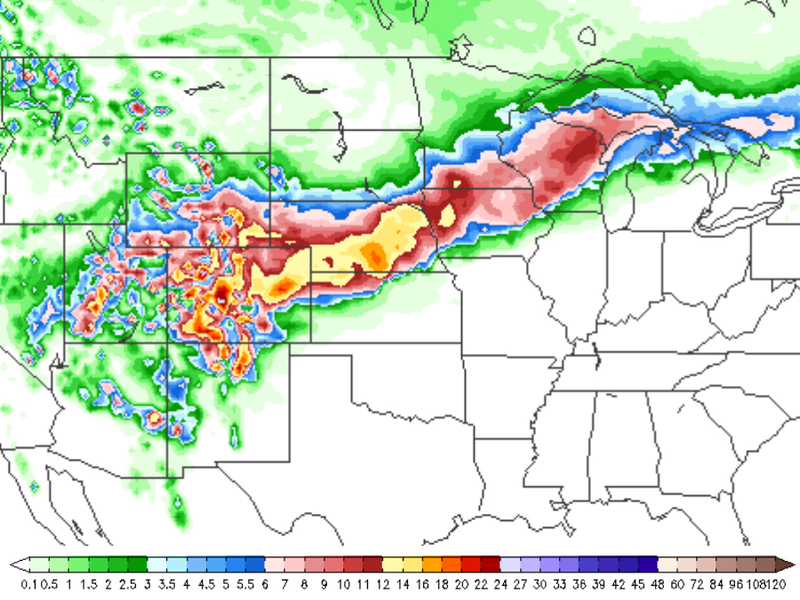 A strengthening low pressure system is bringing strong winds and heavy snow from the Rocky Mountains to the Upper Midwest on Monday and Tuesday. This low is likely to disrupt any travel the first half of the week, especially in eastern Nebraska and western Iowa where snow is expected to be the heaviest. Some areas are expecting a foot or more of snow. In addition to the heavy snow, severe thunderstorms may develop ahead of the system across parts of the South, Mid-South and Midwest. 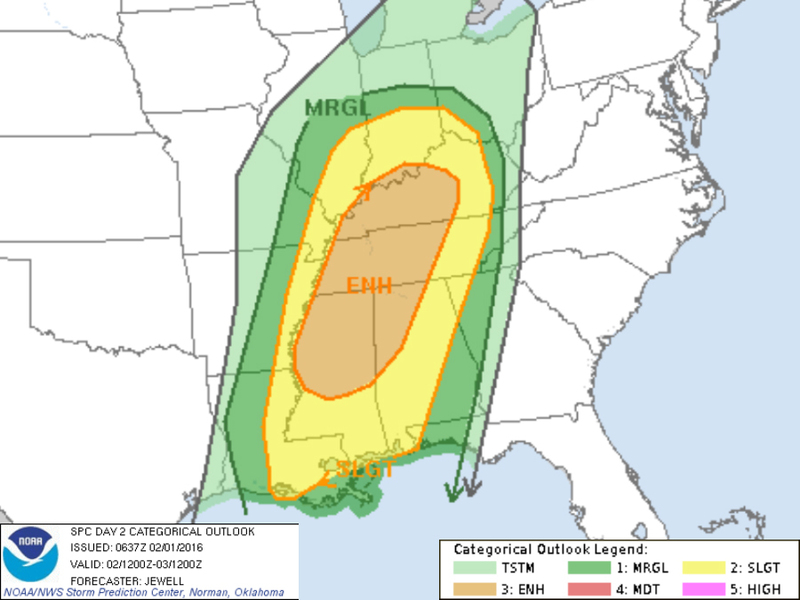 Areas from the Mississippi Gulf Coast up to central Indiana will have to be on the lookout for strong, damaging winds from thunderstorms on Tuesday. 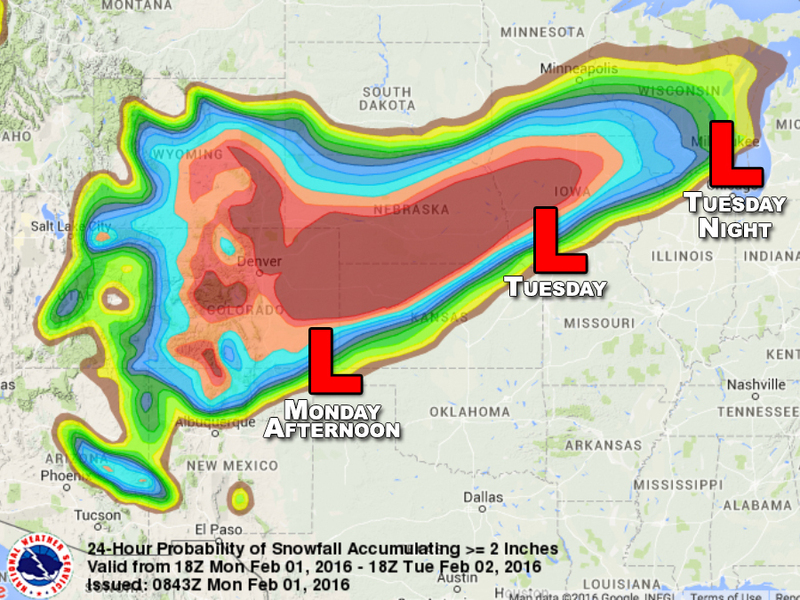 It looks like February is off to a bumpy start for a large portion of the country. The snow stands as a good reminder there is still plenty more winter left while the severe thunderstorms remind us there's less than 50 days until the first day of Spring.